It's like StarCraft: Ghost was never canceled. With the universe-spanning saga of StarCraft II set to wrap up on Tuesday with Legacy of the Void, Blizzard is now tying up some other strings with Nova Covert Ops, an expansion pack...to...an expansion. Okay, lets not get bogged down in semantics. 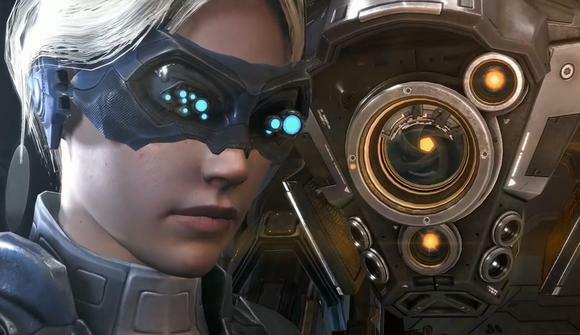 Nova Covert Ops will star Nova, the Terran Ghost who was all set to feature in StarCraft: Ghost a decade ago until Blizzard canceled it, and then made an appearance in Wings of Liberty. Blizzard's Mike Morhaime termed Nova Covert Ops a “mission pack” during today's BlizzCon Keynote—short collections of missions set in the StarCraft universe, exploring sidelined aspects of the universe. Nova Covert Ops will initially consist of three missions, releasing in Spring 2016, though there will potentially be more to her story later. And there are more mission packs on the way, though we don't know when or how many. Stay tuned to the site for more news from BlizzCon today—from the Warcraft movie to Overwatch to...something new? Maybe.